Electric charge is a scalar quantity which unit is Coulomb. The electric field line is an imaginary lines or curve drawn through a region of space so that its tangent at any point is in the direction of the electric field vector at that point. Two lines an never intersect, electric field always start from the positive end and always ends on the negative charge and do not start or stop in the mid. The electric potential at any point in an electric field is equal to the work done per unit charge in carrying at least a test charge from infinity to that point. Its unit is joule/coulomb. 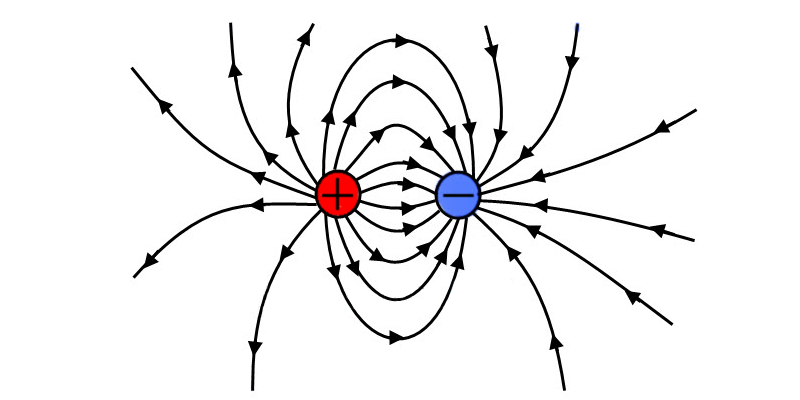 The potential difference between two points in an electric field is equal to the work done per unit charge in carrying a positive test charge from one point to the other point. 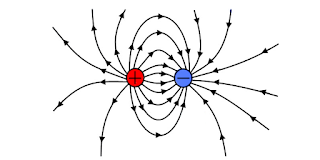 Potential difference decides the flow of charge between two points in the electric field. Inside the closed metallic body, the electric field is zero. Electric current is the flow of charge with respect to time. In the liquid- Current flow due to the flow of ions as well as electrons In semiconductors- Current flow due to the flow of electrons and holes. The P= resistivity of the material. Conductance or conductivity is the reciprocal of resistance and the resistivity of the material respectively. Its SI unit is mho. The resistivity of a material is equal to the electrical resistance of its wire unit length and of the unit area of cross-section. The resistivity of a material depends on the temperature and nature of the material. It is independent of dimensions of the conductor, i.e. length, area of cross-section. The resistivity of metals increases with increase in temperature. R= R1+R2+R3In series combination equal current flows through each resistor. It states that if physical conditions of any conductor such as temperature, pressure etc. remain unchanged then electric current(I) through it is directly proportional to the potential difference(V) applied across its ends. Kirchoff’s Voltage Law- states that the algebraic sum of all potential difference along a closed loop is Zero. It is based on conservation of energy. (a) Primary cell: cannot be charged. Voltaic, Daniell and Leclanche cells are primary cells. (b) Secondary Cell: can be charged again & again. Acid and alkali accumulators are secondary cells. Electric bulb and heater work on the basis of the heating effect produced by the current. When an electric current is passed through an acidic or basic solution, it decomposes into its positive and negative ions. The positive ions collect at the negative electrode(Cathode) and the negative ion is collected at the positive electrode (anode).This phenomenon is called electrolysis. M=Zq, where Z is the electrochemical equivalent of the substance deposited at the electrode. If the same strength of the electric current is allowed to pass through different electrolytes for the same time, then mass deposited at the electrodes is directly proportional to their chemical equivalent. Used to preotect electric appliances from high current. Fuse wire made of the alloy of copper, tin and lead. The material of fuse wire should be low melting point and high resistance. It is the wire of very small resistance. If we add shunt parallel to galvanometer, then galvanometer act like an ammeter. If we add high resistance in series with the galvanometer, then galvanometer act like a voltmeter.